Call your AC technician to find the problem with your unit! All of a sudden, we are facing higher temperatures than we have been used to. Even though you want to save money and energy, you’ve been forced to turn on your AC unit. But once you do, you hear strange noises, or you feel too cold or too hot. 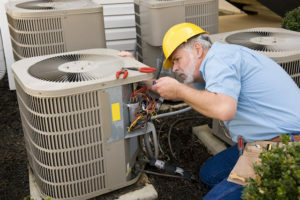 It’s time to find out what could be wrong with your AC unit. One of the most common problems is when one of the wires comes loose. Time and lack of maintenance can cause wiring problems, especially if the AC unit is constantly turning on and off. A loose wire can lead to power problems that cause inconsistent performance. Even so, sometimes the real problem is the fuse. Let’s say that you took the time to fix the problem yourself but the wrong fuse was fixed or removed. The fuse can either be incompatible or it could be the wrong size, either way, it’s not working. Likewise, a fuse could be dirty. A dirty fuse can cause just as many problems. The air filters in your AC unit need to be changed out frequently, so it shouldn’t come as a surprise that the fuses need the same treatment. One easy way to figure out if you have these problems is to keep an eye on your electric bills. If your bills have been going up unexpectedly, it might not be because the lights are left on all the time. It could just be that the AC unit is not working as it should. The AC unit also needs to use more energy than the other appliances and devices in your home. A breakdown is possible, especially if your AC unit won’t turn off when you set it to do so. One final problem is when the AC unit won’t turn off. It needs maintenance. Dust in the filter can choke the efficiency of the unit and eventually freeze the coils. The controls and thermostat could also be developing problems, so you need HVAC experts to come and take a look. Whether it is in your home or in your business, you deserve to be comfortable all spring and summer long.